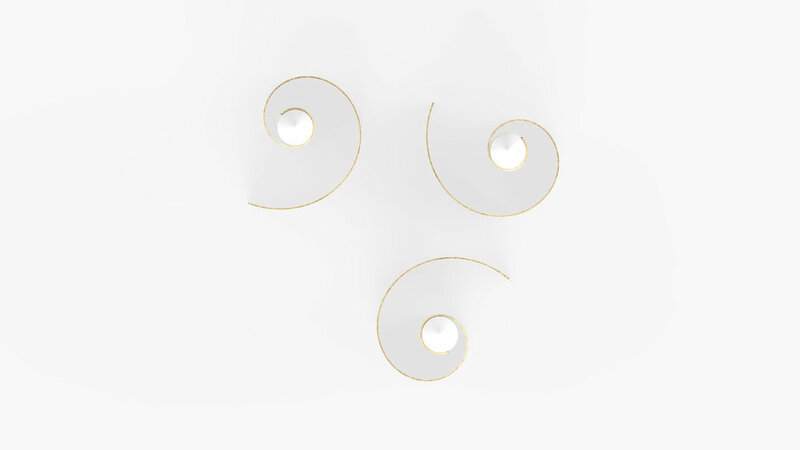 Shaped from a logarithmic spiral, this minimalist candle holder is made from a single piece of brass sheet. The deployment of the spiral ensures the stability of the base while the rounded center is perfectly sized to hold the candle. 95 x 70 x 150 mm.